You are buying the above listed card(s) only. 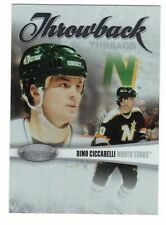 DINO CICCARELLI THROWBACK THREADS RED. YOU ARE LOOKING AT A2010-11 CERTIFIED. To CANADA. CARD NUMBER #10. 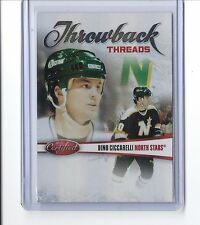 YOU ARE LOOKING AT A 2010-11 CERTIFIED DINO CICCARELLI THROWBACK THREADS TORONTO EXPO CARD. CARD NUMBER #10. To CANADA. Card no.DC1. Note: You are buying the card in the title only. (excluding S&H). THIS WILL BE MY DISCRETION. All cards are in NM-MT or better condition unless otherwise stated. We have over 19 years experience in the hobby. Sorry No Exceptions! Hand signed, SGC authenticated and slabbed, with provenance from the Dan Fox Collection. We specialize in international orders! great service!